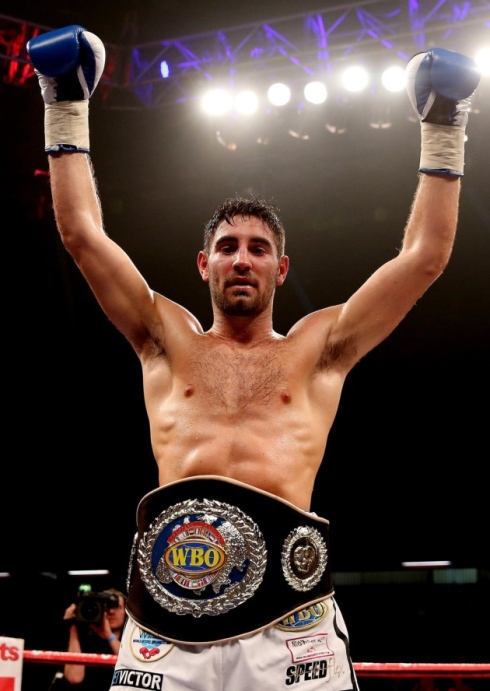 Top Enfield talent Frank Buglioni is hungry for ring success now that he’s had a pizza named after him. The super-middleweight star defends his WBO European title for the second time this Saturday (12th April) at the Copper Box Arena, Queen Elizabeth Olympic Park, in London, and will tuck into his special “Wise Guy” pizza once he’s defeated challenger Sergey Khomitsky. Buglioni’s dynamite punching and model looks from his Italian heritage have attracted a lot of attention outside of the ring and a local restaurant has taken his nickname to give to one of their pizzas. Undefeated in twelve fights with nine stoppages and his last three fights ending in big KO stoppages, Buglioni, 24, faces the hardest test of his career against the Belarusian who ended the career of Jamie Moore and took big hitters Martin Murray and Ryan Rhodes the distance. The Power Of London show features the next generation of boxing stars: WBO European Super-Middleweight Champion Frank Buglioni, Commonwealth Cruiserweight Champion Tony Conquest, WBA Intercontinental Welterweight Champion Bradley Skeete and Vacant WBA International Super-Bantamweight Title Challenger Lewis Pettitt. An action-packed undercard features Chris Eubank Jnr., Eddie Chambers, Gary Corcoran, Tom Baker, Georgie Kean and the pro-debut of Simon Barclay.